Hi Steph and Matt, thanks for chatting with us! Where are we reaching you from? Hey guys! You are very welcome. 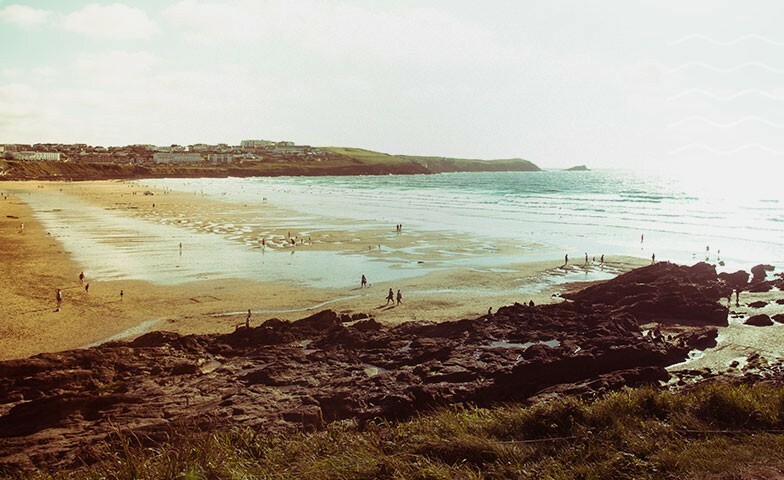 We are currently in Perranporth, Cornwall finishing up Matt's summer job as a surf instructor, Steph is working on illustrating and artwork as well as prepping our van Ivy for this years winter adventure! 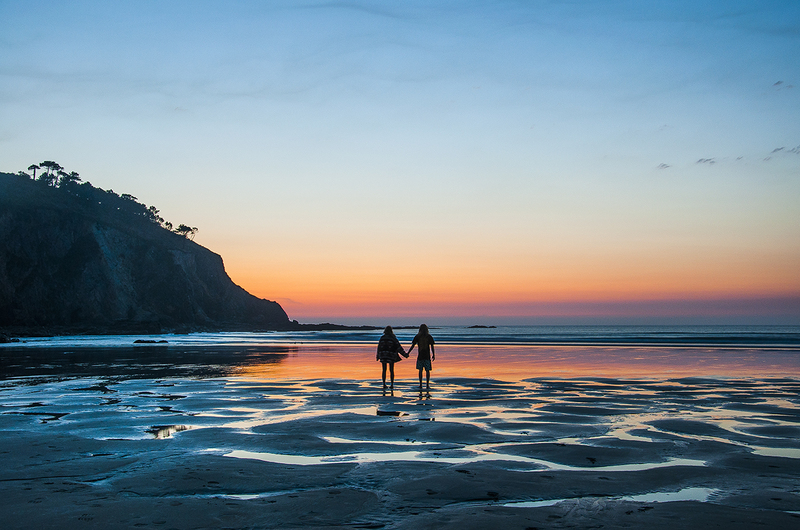 We spend our summers working the season down here in Cornwall and our winters traveling in our rolling home. 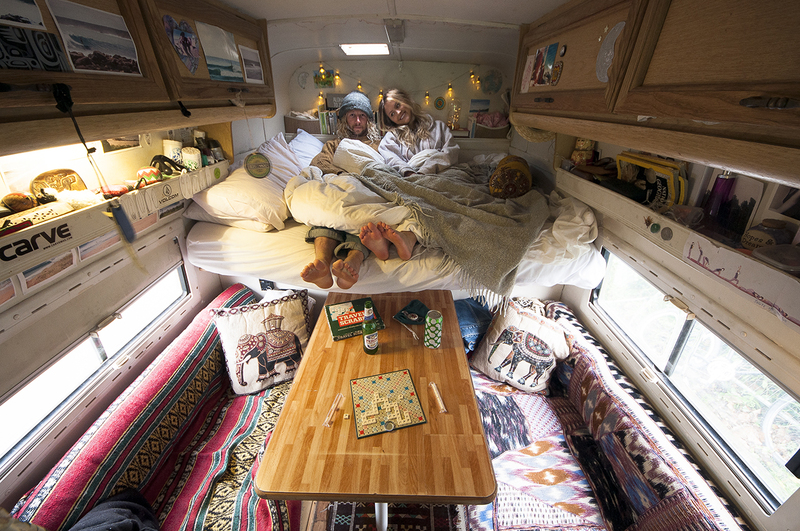 Let’s start from the beginning… how did you both meet and make the decision to live the van life? We met in the Midlands where our parents live, working at the same snow/surf/skate shop. We chatted on our breaks about Steph’s dream to live and travel the world in a motorhome and how Matt had booked a one-way ticket to Australia. We’ve both had an itching feeling to explore since we met so when Steph finished her degree at the start of that summer she booked a ticket too! We bought our first van in Western Australia and spent a year touring the southern half, predominately sticking to the coast, surfing/marveling at the landscapes and adventuring to our hearts content! Finishing in Noosa, Eastern Australia (longboarding heaven!) 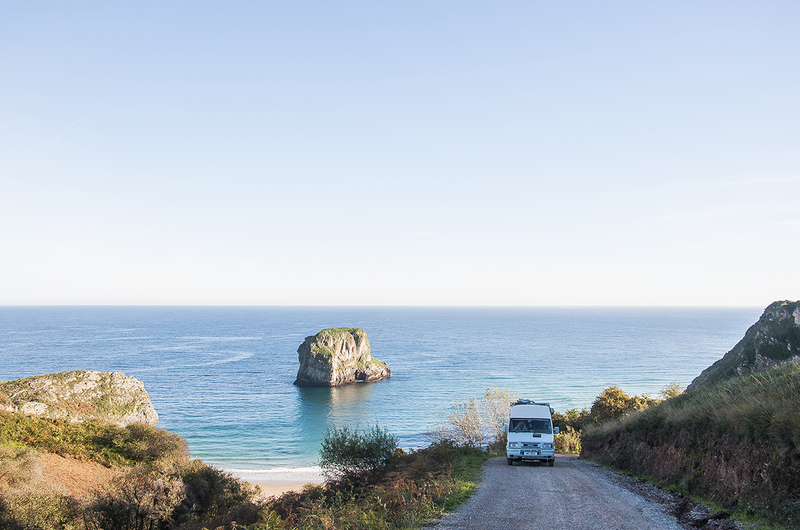 We then came back to the UK and bought our current van Ivy, we realized how lucky we were to have Europe on our doorstep and were craving new cultures, waves and landscapes! We worked our first summer back in the UK and then hit the road all the way to Morocco. Can you tell us a little about your beloved 1996 Iveco Campervan and how you got it road ready? Ivy is a duck egg blue Iveco Daily 1996 with an extended back, she’s a little rough around the edges but we like her that way, she definitely has personality (bumps and scrapes galore) and you can tell she’s a well used adventure wagon! She was already mostly ‘fitted out’ when we got her but we made quite a few modifications and personalized her to fit our needs; we did lots of DIY’s to make her our own. Steph had a vision for how she wanted it to look aesthetically and we tried to make those ideas come to life. We would say she’s a cozy bohemian surf shack all wrapped up in to one! Like with most old vans we’ve had and still have our fair share of trips to the mechanics, we carry out constant maintenance making sure all the necessary checks are done so everything is ticking over as well as can be, especially when undertaking long journeys! And where has she taken you in the world? We’ve toured the West coast of Europe several times now and taken Ivy all the way over to Morocco in Northern Africa. Many people are apprehensive about living the free-spirited life; worrying about money, responsibilities or what might go wrong – do you have any words of advice? As full timers of 4 years we would say it’s not for the faint of heart! But many people have weekend wagons they explore in which is just as fun and less commitment. We both work for 5-6 months of the year in the summer 7 days a week full on and save our money to make our winter adventures a reality - our only outgoings are food and fuel! Its all relative as to what you think you need in life and what you choose to put your money towards, for example we love to be creative, explore the coast and surf, we find living in a van enables us to do this whilst being a lot cheaper in the long run than renting a house, we have learnt it’s about making certain compromises to follow what truly makes us happy! When you’re living in a van or motorhome (especially one over 20 years old) we’ve realized what could go wrong will go wrong! Every day is a new challenge but the rewards always well outweigh the risks. Having the whole world as your backyard is pretty spectacular! We think about the future as much as everyone else, but also know that we only have a short time here on this planet and living on the road, being immersed in nature and being together adventuring is our absolute favourite thing to do so why wait. What’s one thing people might not know about living the van life? 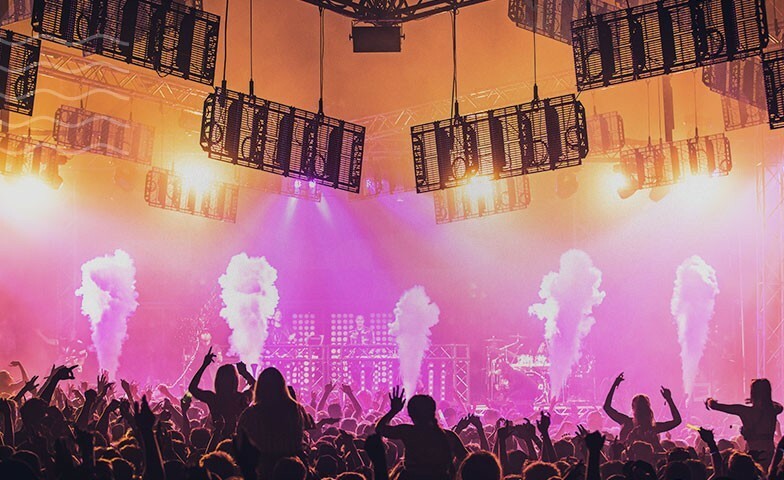 We’ve learnt so much from living on the road and experienced a hell of lot too - good and bad. Countless miles on the clock, countless countries, breakdowns, bogged in sand/mud with no service, drive shaft falling off, smashed solar panels, flat batteries, flat tyres, doors falling off, roof leaks, lights broken, surfboards broken, bones broken, every kind of weather you can imagine, dodging chickens, turkeys, camels, donkeys, dogs, cats, humans.. sunsets, sunrises, highs and lows! Basically just about anything can happen! One thing we will say is: ‘van-life’ is heavily glamourized on social media, it's not sunsets, bikinis and epic views the whole time! It is hard work and can sometimes be very stressful if your van is having mechanical issues for example and you’re stuck somewhere not so scenic and cannot speak the language well. 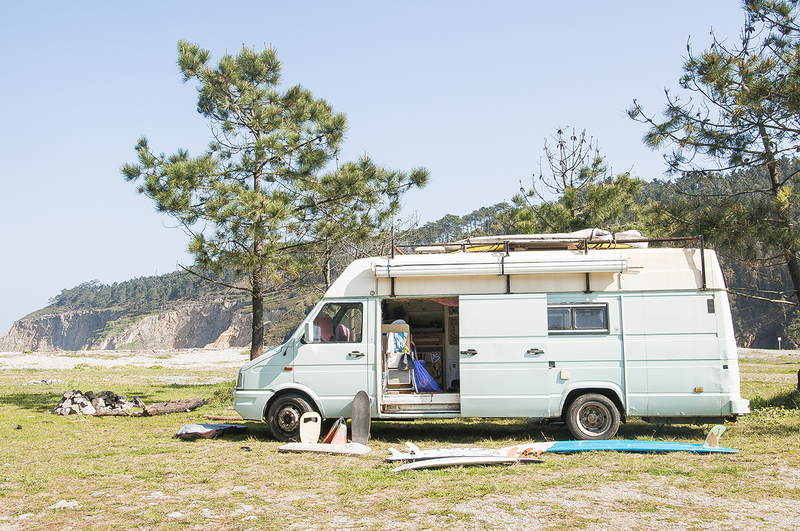 When something has gone chaotically wrong or the van is limping to a garage all we can do is laugh and say ‘hashtag vanlife’ because it's so far from what its usually played out to be online! However you can’t have the sunsets, star-filled open skies and waking up to empty waves without the breakdowns and the complications! 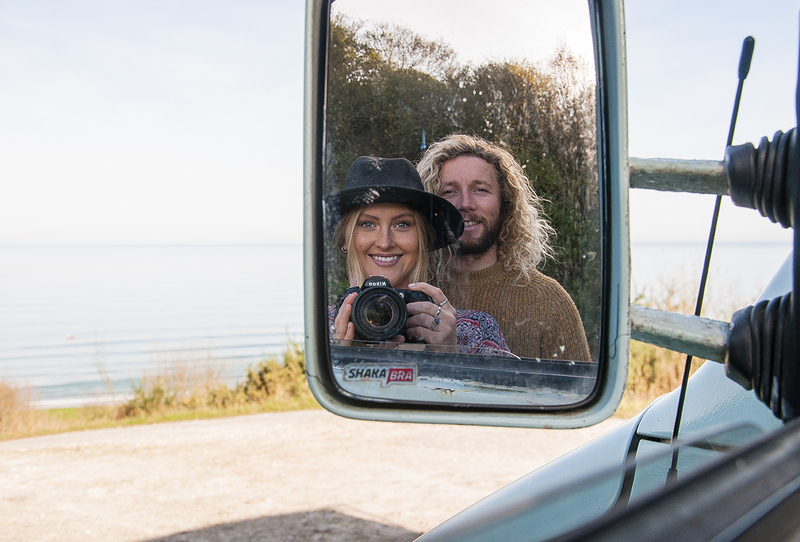 I think something all van-dwellers feel is the sense of absolute MAGICAL freedom you feel when you put your foot down and cruise on to different destinations, meeting like-minded people and waking up in beautiful locations. It’s about people who want more out of life but can live with less. 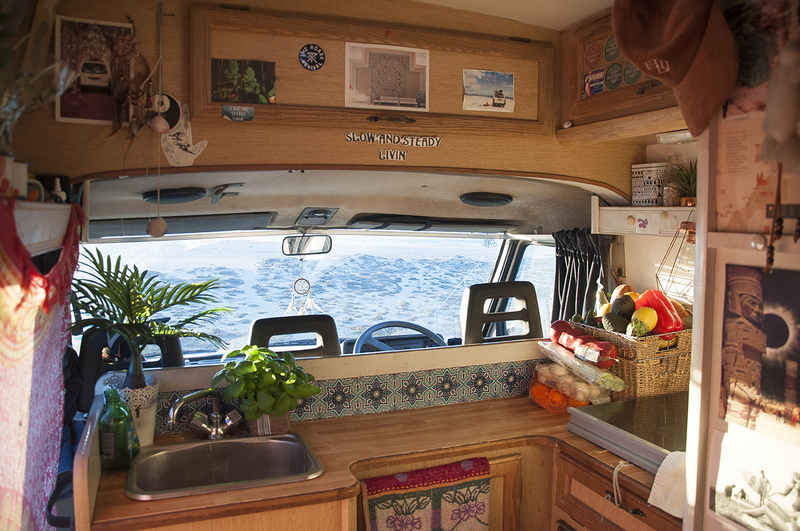 Can you share a handy tip that you’ve found essential for living on the road? Don’t outstay your welcome at certain spots if you are wildcamping - leave no trace, always treat nature with respect and take your rubbish with you! Do meet new people, get inspired and embrace the unknown! 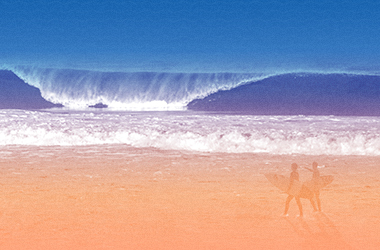 It is our space for sharing professional our photography, travel, surf, art and documenting adventures from the road. We use it as a hub for both our creative endeavors and a space to share our inspirations. 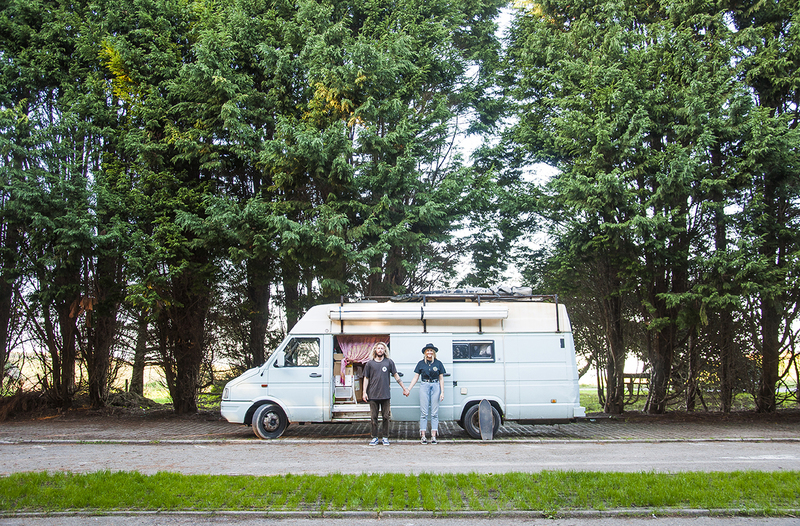 Matt is a professional photographer, Steph is an artist and illustrator – and we use Ivy as an adventure wagon / moving creative studio! And finally, what’s next in store for you both? We are planning to drive back to Morocco this winter via our favorite places; Spain and Portugal. We’ve still got so many dreams, we would love to road trip the whole west coast of the US/Canada and also have our sights set on New Zealand! Lastly we have some pretty cool T-shirts Steph has designed coming out soon so keep your eyes peeled for that! Keep it steady!